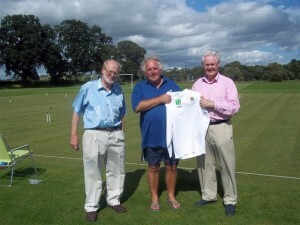 At the recent AGM, it was agreed that Club would take up the opportunity of playing at Albury Sports Centre, Aberdeen next season. The timing of these sessions was yet to be settled but was likely to be on Wednesday evenings and on Sundays. 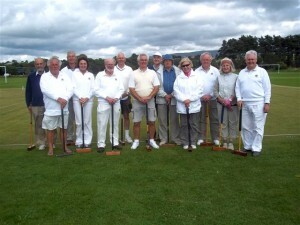 During the last weekend in August, the Crathes Club were fortunate in again having extended coaching sessions from Bob Burnett. Although a member of the Crathes Club, Bob lives in Somerset but made another trek north after participating the match in Penrith. 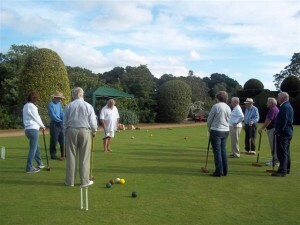 There were two days of coaching for all levels and both sessions were very well attended. We are very grateful to Bob for continuing to make the effort to travel north and give us the benefit of his expert knowledge of the game. 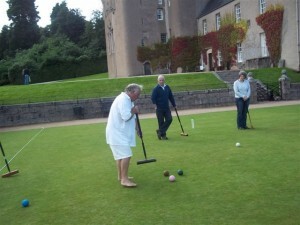 Bob demonstrates a shot – but mind those feet! On 22nd August, the Crathes Club was invited to the Penrith and North Lakes Club who have three lawns at the Langwathby Sports ground near Penrith. 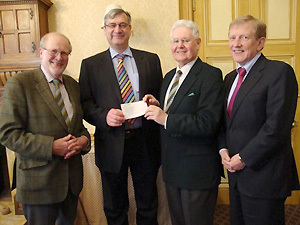 Six members of the Crathes Club attended including our star player, Bob Burnett, who travelled up from Somerset. 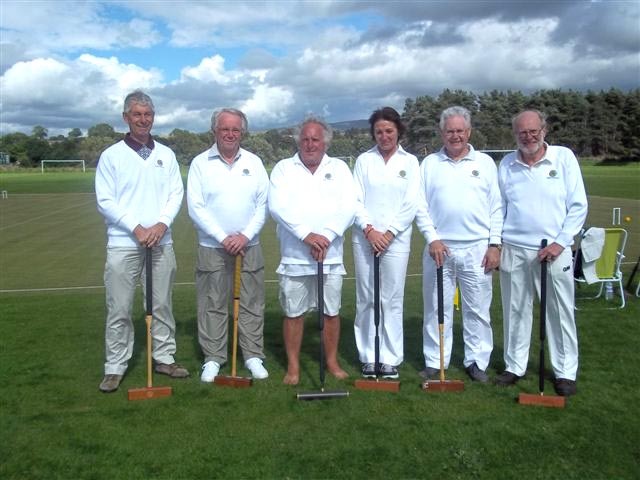 Pictured are the two teams who enjoyed a full day of competition, though the match result was narrowly in favour of the Penrith Club. We enjoyed the very generous hospitality from the Penrith group not only in providing accommodation for some of our team but also in putting on a delicious buffet with wine the previous evening. Our thanks to all the Penrith group (particularly to Irene and to Brian who has a foot in both camps) for arranging such an enjoyable occasion. 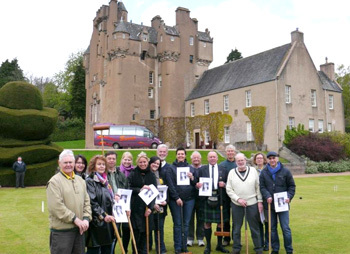 A team from Edinburgh/Glasgow representing the Scottish Croquet Association visited the Crathes Club on Sunday 15th July (the combined group is pictured right). Four pairs matches were played in the morning and the Crathes team was fortunate to win in all four. SCA players Alan and Robert (pictured 6th and 8th from left, respectively) then gave an impressive demonstration on an almost full-size lawn of how the game should be played. 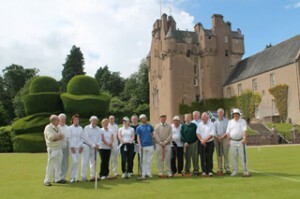 The afternoon matches were between mixed SCA and Crathes teams giving the home players further opportunities to learn from the visiting experts. With plenty of food and drink this was a most enjoyable day, despite the waterproofs being severely tested at times in the afternoon, and we are grateful to the SCA team for making it all possible.